Well, it’s true. A sailor’s life is for me. I’ve just returned from my first week at sea aboard Windeward Bound, the brigantine in Tasmania, Australia that I’ll be sailing on for the next three months. I don’t think that I could have asked for a better first week. We had a fantastic group of Australian scouts on board, delicious and plentiful meals, and almost every kind of weather you can imagine. 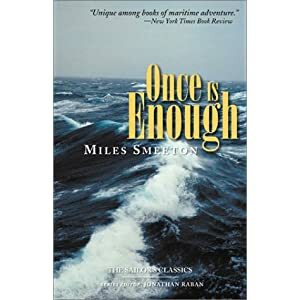 I admit again that I was a bit nervous for this first trip, wondering how I’d get along with my new crew, and how the crazy weather of the Southern Ocean would treat me. But I had no cause for worry. I’m as in love with this life now as I was when I discovered it eight years ago, if not more so. I’ll be posting my journal entries all this week, but until then, here are some photos from the voyage. Thanks for checking in, and enjoy! What 5 things do you bring? 19 days until departure. I’m heading out into the Pacific and into the Southern Ocean. Everyone has their little gadgets and comfort gear that they wouldn’t think of embarking on a trip like this without. What five specialty items do you bring with you to go sailing in frequently cold and harsh (but sometimes warm and pleasant) conditions on the other side of the planet?